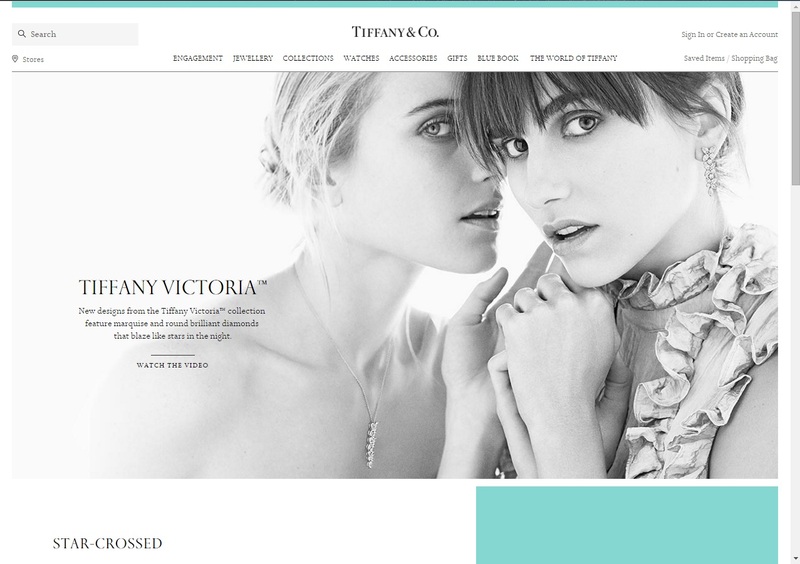 Tiffany and Co Review | Are they worth the Premium? If ever a name summed up everything that is magical about diamonds it is Tiffany. It’s right up there with Faberge and Cartier as one of those brands known across the globe and instantly identifiable with the products it sells. There is a sense of apprehension mixed with trepidation at the thought of delving deep into a company I have held in such esteem for so long. So am I going to be in seventh heaven or see my illusions shattered forever? Read on to find out….. The classic Tiffany engagement ring exudes simplistic elegance. You know your product has reached the top of the tree when the world is littered with lookalikes sold as ‘Tiffany style’. This exclusivity comes at a price and the price of wearing this most famous of rings is out of the reach of many. Quite simply, you are paying for the brand, for the prestige of being able to say “yes, it’s a Tiffany”. We know their like for like stones are going to cost more than our favorites such as Whiteflash but just for fun let’s see just how wide that gap is. First stop Tiffany. Last stop Tiffany. You can’t just ‘buy’ an engagement ring on this site. You can choose the setting you want which is accompanied by a ‘from’ price tag then you need to contact a diamond expert to get quotes for your stone. You can also go instore but as I don’t live anywhere near a Tiffany store that was a no go. I did get a lovely email reply however to my inquiry. Their specialist informed me that the bottom price on all their engagement rings included what they call their entry grade diamond. This is a 1ct, I color, VS2 clarity stone. All of the stones are cut to an excellent grade and if I there was a specific stone I wanted they would give me a quote. So now I knew what I was getting for the ‘from $15,000’ price tag. I also then decided that I wasn’t going to do the usual price comparison. The Tiffany brand is attached to both setting and diamond and while we could find a like for like diamond the setting is impossible. The dream began in New York City back in 1837 when Charles Lewis Tiffany and John B. Young opened a “stationery and fancy goods emporium” under the name of Tiffany, Young and Ellis. The first real milestone was the publication of their Blue Book in 1945. This was the first mail order catalog in the US and is still a major part of the brand. The Blue Book sold exceptional pieces of jewelry and on the back of this the company was renamed Tiffany & Company when Charles Tiffany took control in 1853 and focused purely on top quality jewelry. Known as a bespoke brand from the beginning, Tiffany gradually expanded and as well as selling their jewelry they were commission by the US Military to produce medals of valor and in 1919 were commissioned by the US Navy to revise their Medal of Honor. This ‘Tiffany Cross’ was rare as it was only handed out to those who had been in combat whereas its predecessor hadn’t had this restriction. Tiffany received the presidential seal of approval in 1968 when they were commissioned by First Lady Ladybird Johnson to create a special dinner service for the White House with a design featuring 90 flowers. The Tiffany flagship store in Manhattan has been seen in hundreds of movies over the years but probably its most famous appearance was the very first one. When Holly Golightly window shopped while breakfasting on a Danish pastry the company was put on the global map. The store reportedly employed an additional 40 security guards to watch over the diamonds and in the words of Holly herself; “nothing bad can ever happen to you there”. Tiffany have come in for much criticism over the years, not least during the recession of the 1990’s when their store was called more bargain basement than bespoke. As always they just carried on doing what they do best and today they are still a name that demands respect. Tiffany are in a league of their own when it comes to diamond retailing and quality is guaranteed. Watch any major red carpet even, such as the Oscars, and chances are that those glittering diamonds adorning those famous ears, throats and hands come from Tiffany. Many believe that the only items Tiffany sell are their own brand but they do work with a very small, and select, group of designers. Currently on their website you will find collections from such names as Paloma Picasso, Elsa Peretti and the exclusive to Tiffany collection designed by Jean Schlumberger. There are no design-a-ring or custom build features in the Tiffany world. There is little point to be honest as how do you improve on what has described as perfection? There has been much debate over the years regarding the fact that Tiffany’s appraise their own diamonds and are not associated with any of the leading gem labs. Some quarters have criticized them for this but let’s clear something up once and for all. The name Tiffany is lauded across the globe, they are not going to sell inferior products. Anyone who buys a diamond from Tiffany are free then have it appraised elsewhere, and those who did have reported that have stone is of the quality it claims to be. Unlike other retailers who rely on certificates from AGS and GIA to authenticate their stones, the name Tiffany is enough. If you’d like a diamond with either an AGS or GIA certificate I would recommend looking at either James Allen or Whiteflash. This website screams class and elegance from the moment you arrive at the home page. The crisp, clean lines and contemporary monochrome imagery is an absolute delight. As you scroll down you feel as if you have been invited to a very exclusive party and your fellow guests are some of the world’s most famous designers. Let’s see what is waiting for us as we enter the VIP suite that is the engagement rings section. This is where I came across my first real disappointment. You can browse the rings but you cannot buy them. You can easily add any other item on sale to the shopping bag but not the engagement rings. A consultation with a diamond expert is needed to select your stone and you can do this in store, over the phone or get a quote via email for the stone you want. The settings are gorgeous of course and I understand they can sell their pieces anyway they choose I just, somewhat naively in hindsight, that you would be able to select your stones online. I had to pick a piece from another area to go through the checkout process so I chose a ring from the Continuous Collection. The Infinity Ring in platinum set with diamonds cost $2,700 and popped easily into my shopping bag. You are encouraged to be registered with Tiffany to buy from their website and after filling in their basic questionnaire the confirmation email arrived within second. One click on the confirmation link and I was good to go. The checkout process was quick, smooth and pretty uneventful. As my item cost over $150 I was automatically given the complimentary shipping which would bring my ring to me in 3-4 business days. Alternatively, I had the option of paying $35 for overnight delivery. 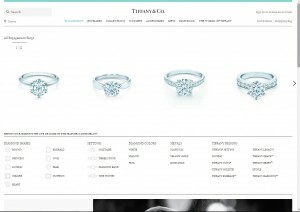 Overall, the Tiffany website was nearly what I expected it to be. The navigation is a bit annoying at time with having to click on several links to reach the items you want but it only takes seconds so was no real issue. Stunning does not cover the quality of the imagery on the Tiffany website, but then again you really wouldn’t expect anything less. There is none of the 360° imagery we have become used to on other sites, just the items taken from different angles in perfect clarity. I love the black and white images which appear on the home pages as while they are very modern but with a nod towards the company’s history. I expected Tiffany to score highly in the imagery department and they didn’t disappoint. Once I had gotten over the fact I was not going to be able to peruse stunning images of dazzling diamonds I enjoyed my time on the Tiffany website. There is a common misconception about Tiffany’s where many think all they sell is diamonds and everything costs top dollar. Sure, diamonds are what they are known for but it’s great fun browsing the site looking at the products and even better when you see that you can afford many of them. I have no complaints about the shopping experience and this is one of those sites you will return to time and time again simply to browse. The only way to describe the information is succinct. There is info on there but not a great deal to be honest. 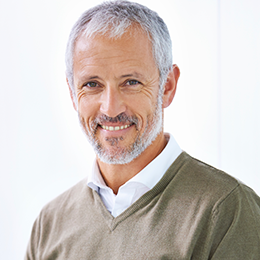 They don’t go into elaborate detail about buying diamonds, or the 4 C’s, for example as they employ gemologists to talk to you about them on a one to one basis. If you don’t know the history of the company The World of Tiffany is an interesting section and the FAQ’s cover all bases. But there is nowhere near the information on here that you will find on other sites. There is invariably less choice on the Tiffany website than on others as their onus is on quality over quantity. There is still plenty to choose from however and let’s be honest, if you come to Tiffany for an engagement ring there is no need for pages or pages of settings as the brand setting is one of the reasons you came here in the first place. I cannot give an accurate review of the choice of diamonds on offer as these are only purchased after a consultation with one of their experts. However, I have it on good authority if you tell them what carat etc. you are looking for you will be given the information pertaining to which stones they currently have that fit your criteria. If you are the buyer of the engagement ring you have 30 days in which to request a refund. If you are the recipient you can exchange it or get a refund in the form of store credit. Wherever you purchase your Tiffany item from you can return it to a store. As with all the info on the website the returns policy is short and to the point. You can read it in full by following this link. Make no mistake, an engagement ring from Tiffany carries a prestige which no other retailer comes close to. In the same ilk as Hearts on Fire, but in an altogether classier package, it is the brand you are paying top dollar for. I cannot give Tiffany 5 stars due to their selling strategy with their engagement rings. I received an excellent response from their diamond expert Hal who explained, I quote; “Unlike other items on our website, we do not complete the purchase of engagement rings online. Even so I believe there should at least be a selection of stones on the website for you to look at even if you still need to consult their expert before purchasing it. Or even a piece of technology showing the ring with a .70ct for example so customers who don’t know a lot about diamonds can appreciate what difference the size etc. can make to the overall appearance of that ring. Several reviewers have scored Tiffany low due to their prices but at the end of the day if you want to have a Tiffany rock you are going to pay top dollar and thousands every year are happy to cough up the extra to do exactly that. Can you buy comparable quality diamonds for cheaper elsewhere? Undoubtedly. Do they bring with them that indescribable feeling of slipping a Tiffany diamond on your finger? No, which begs the question should you just go with someone like Whiteflash or James Allen who offer higher quality diamonds at lower prices.